School campuses have recently been the centre of a number of tragic incidents involving students. Only recently Berliot Tsanou a student at the Government Bilingual High School Deido, Douala was stabbed by his former mate. Other cases of skirmishes in schools involved a teacher of the Government Bilingual High School Leclerc who was brutalized by students of the school. Most of the perpetrators were said to be under the influence of drugs. It has been observed that the rate of consumption of drugs in schools campuses has been steadily on the rise. Faced with this and other security threats, the Ministries incharge of education have instructed schools authorities to be on the watch out. In response, school authorities have adopted different methods to address the problem. At the Government Bilingual High School Mimboman, an anti-drug committee, made up of security officers, teachers and student representatives has been keeping watch for over two years. The team monitors students for drug sale and consumption on campus. The team also checks the smuggling of harmful objects into school campus. At the Zang Mebenga Private Institute, the problems of indiscipline that threatens the security of other students and/or administrative staff are being handled by security officers. In this school, any student caught with drugs or harmful objects is handed over to security officers for questioning. In all a total of fifteen students have been dismissed from the institution during the present academic year alone for continuous drug consumption. At the Victory Educational Centre, the teachers routinely search pupils’ bags for harmful objects like knives, blades, scissors , pieces of bottle, needles and other prohibited objects. If any harmful object is found, they are immediately confiscated and the parents of the child convened by school administrators . As cases of insecurity involving students increase in schools, government sounds the alarm bell, while school authorities and parents trade blames. School administrators hold that discipline begins at home. They argue that parents must be involved in the education by being worth examples to emulating. Administrators therefore call on parents to refrain from domestic violence and other bad practices. Parents on their part blame the upsurge of school violence on peer pressure. 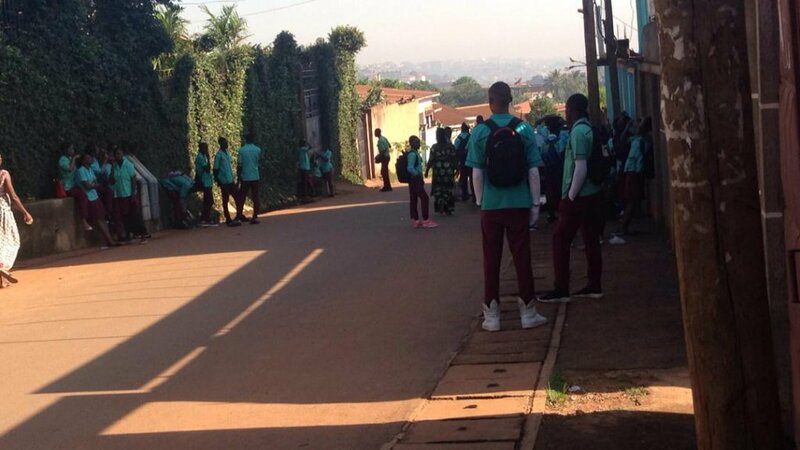 According to parents, these students copy the urgly practices from their mates in schools under the watchful eyes of authorities. To government, its a call to crack down on drug importers.